Redwood City newborn photographer • special baby girl | gooseandbugsphotography newborn baby and child PhotographyCustom children's photography, specializing in newborn portraiture, on location in San Jose, Ca and the surrounding Bay Area. This tiny peanut was so very wanted and loved before she even arrived it was a joy to see her parents bursting with pride to show her off. It was my pleasure to spend some time with her today to capture her brand “newness”. Don’t let the series of awake shots fool you, that was a very brief peek at her eyes. She was an absolute angel and slept straight through for about 2 hours. This entry was posted in newborn and tagged baby photographer, bay area baby photographer, bay area newborn photographer, bay area photographer, children's portraiture, newborn photographer, Redwood City newborn photographer | Bookmark the permalink. So sweet! What a flexible poser too! Love the faces collage…congrats to them! Thank you so much, Leandra! You’ve helped us preserve a very special day in our little one’s life. I can’t wait to see the rest of the photos! Really gorgeous Leandra. What a pretty baby girl. What cute awake shots! Beautiful baby! What a little doll and a blessing for our Wendy and Shawn.LOTS of LOVE and thanks for the pictures!!!! She is beautiful. I love the pictures, especially the last one. She is definitely a keeper and I can’t wait to hold her and hug her. Jenna thinks that she looks like a Blase. Grandma Blase will love them too. we love the photos! especially the black and white ones, my favorite is the last one where Shawn is holding Makenna. I also recognize your grandma’s handmade blanket, love that photo as well. Aw, what a darling baby! Love the last one! Thank goodness she looks like a Blase. Sorry Shawn, just kidding. She is a doll. These are gorgeous! 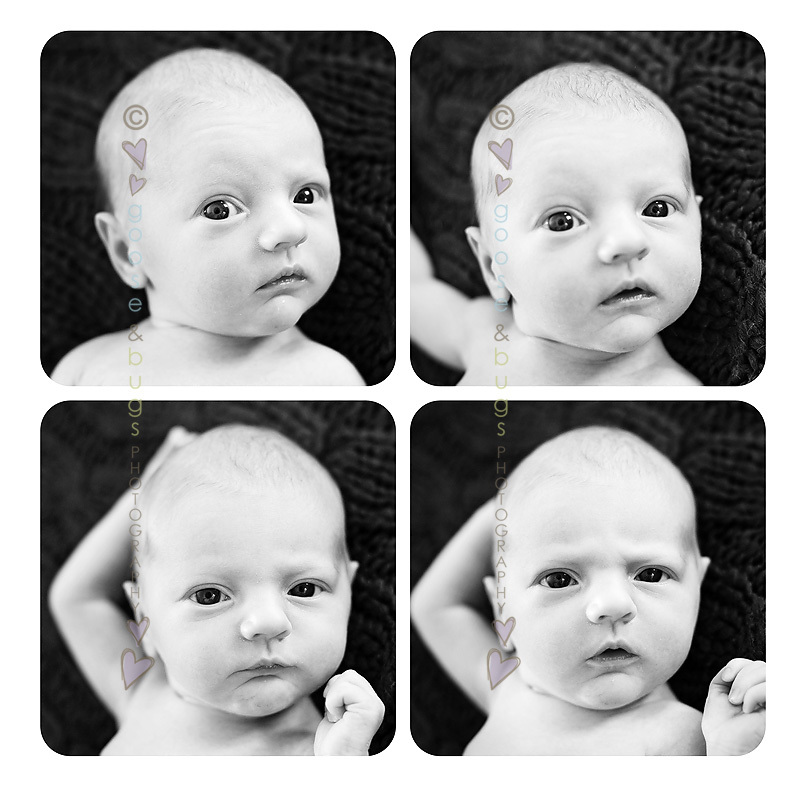 But my favorite is the series of awake shots you got…so much personality in such a little one! What a perfect baby girl, Wendy. Congratulations to Shawn and you. I cannot wait to meet your little angel!